The annual Simple Session in Tallinn, Estonia brings a big part of the BMX Freestyle community together for the first big gathering of the year. During the cost and wet winter months when outdoor riding is rough, simply not a lot of (outdoor) events take place. Seeing the BMX family again for the first time in the new year has always been a big part of Simple Session. 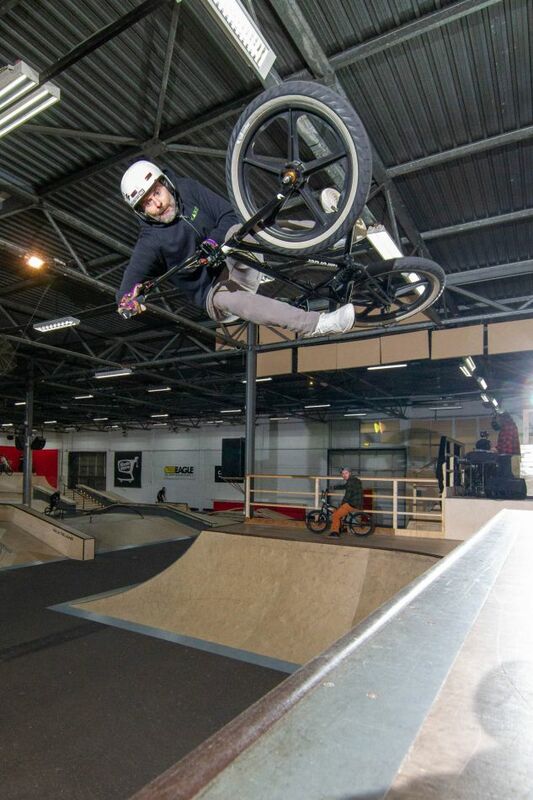 The Thursday ice hockey match between BMX and Skateboarding was lost for the first time. It definitely had something to do with Reed Stark arriving a couple of hours late. He was gutted he missed it and so was any BMX-er who was watching the game. Yes, it's all about the good time, but winning makes the good time even better. Let's get that win back in 2020 when Simple Session hits its 20th B-day. With two days of practice split by Skateboarding and BMX the riders had some time getting used to the Nate Wessel designed course. It had a Street as well as a Park section but riders could use whatever they felt like so there was no line splitting the course in two. Still, Street riders were expected to hit up the rails/ledges/flatbanks and the Park riders used the big jump, quarters and spines on the other side. All was linked up well and if you did not find anything to your liking you should take up flatland riding instead. 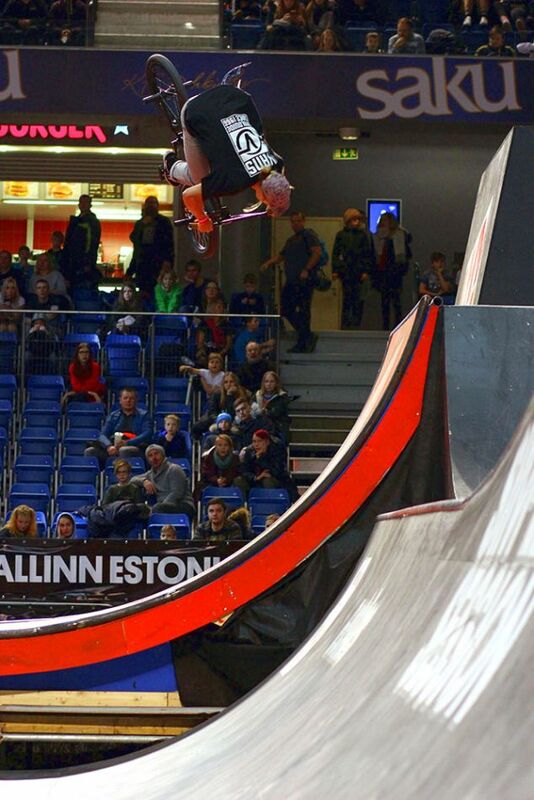 The 19th edition of the annual Simple Session contest went down this weekend, February 2 – 3 at the Saku Arena in Tallinn, Estonia. 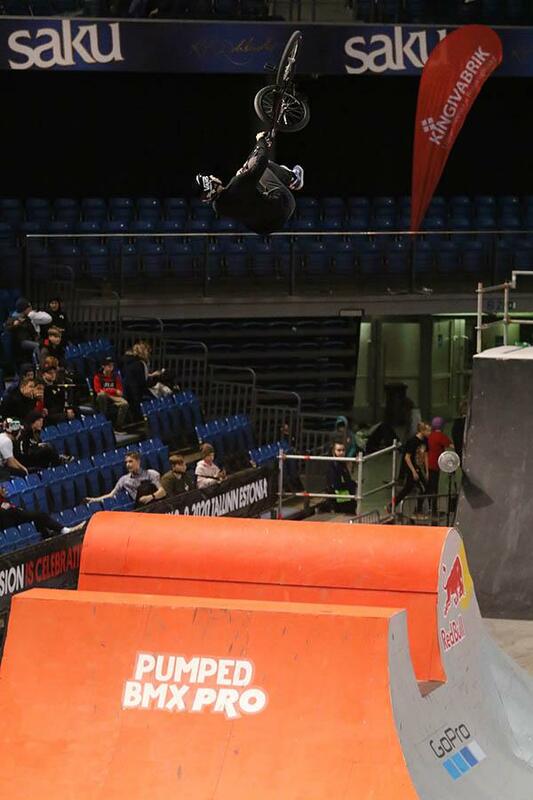 The main contests hosted 150 athletes from 30 countries: 60 in Pro Skateboarding, 50 in Pro BMX Street and 40 in BMX Park. The Qualifications went down on Saturday and Finals on Sunday, with 12 top Qualifiers competing for the medals. 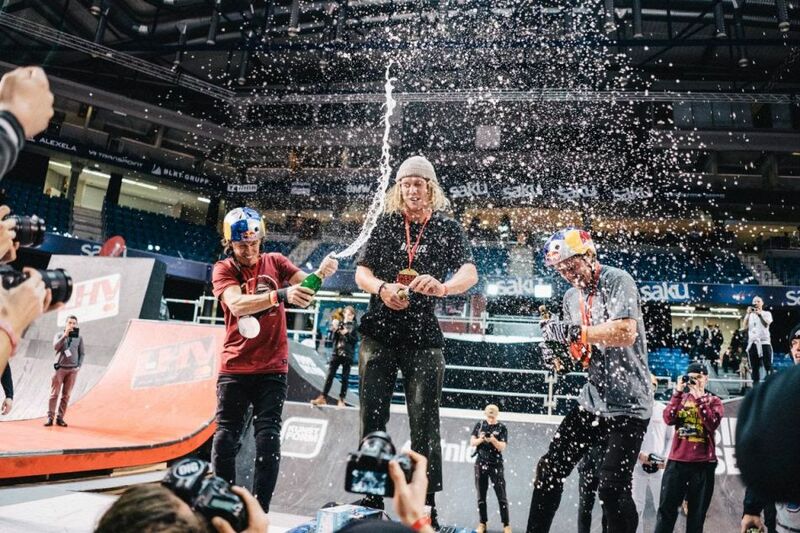 In BMX Street, Felix Prangenberg GER (Wethepeople) finished with the highest score, Matt Ray USA (Subrosa) was second, and Justin Spriet USA (Fit Bike Co) was third. Johnny Raekes USA (Fiend BMX) pulled the BMX Street Best Trick, which was a tooth hanger over pegs hard 180 crankflip. Finalists are known. Check who made it to the 2019 Simple Session BMX Park and Street finals. And the finalists are......#simplesession19. Watch the finals live on FATBMX on Sunday 3 February 2019. What’s the best way to conquer a lifelong fear of heights? 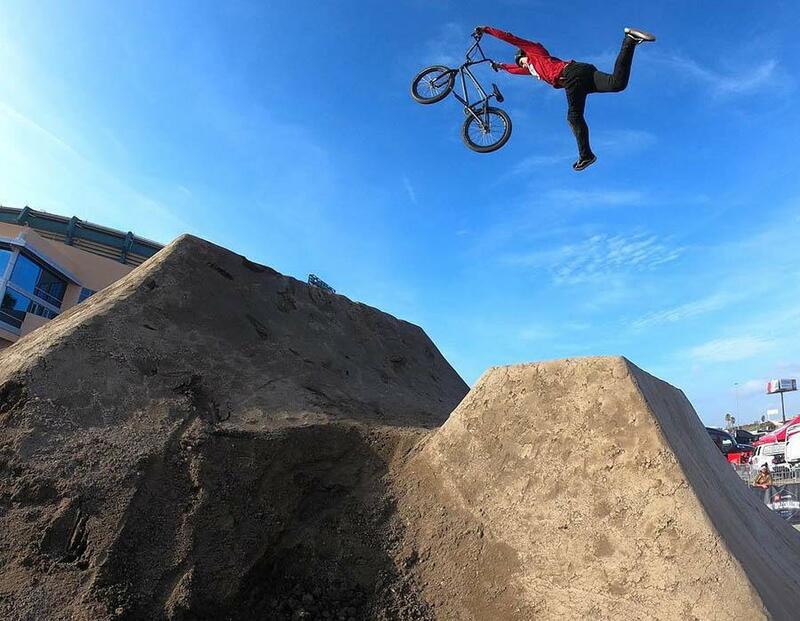 For Scottish BMX star Kriss Kyle, throwing yourself out of a helicopter is one way of doing it. The unique attempt is the first in riders’ latest edit which sees him turn the unique architecture of Dubai into a giant BMX park. Opening with a huge cityscape shot, we see Kriss leaning out of a helicopter as he approaches the iconic Burj Al Arab Jumeirah hotel, one of the world’s tallest hotels and most unique buildings. 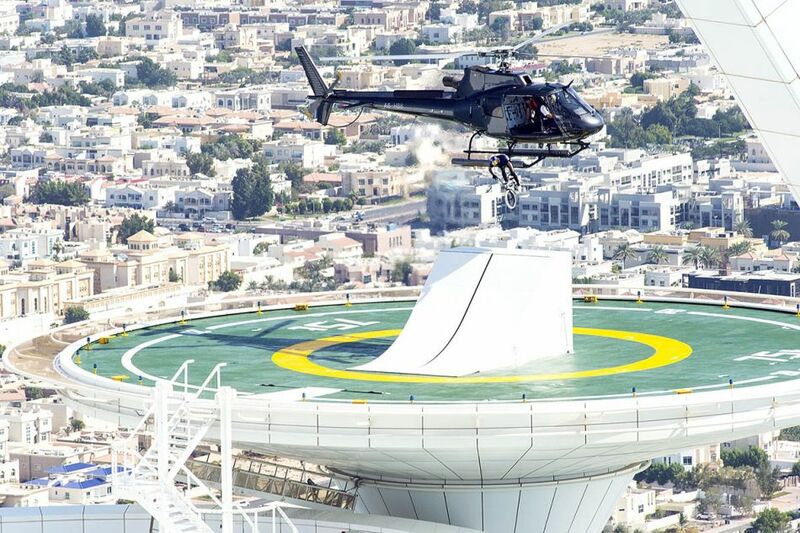 We then see him jumping 14 feet from the helicopter – 720 feet up – and onto a helipad on top of the hotel, before immediately tackling a second equally daring drop and heading into the building itself. 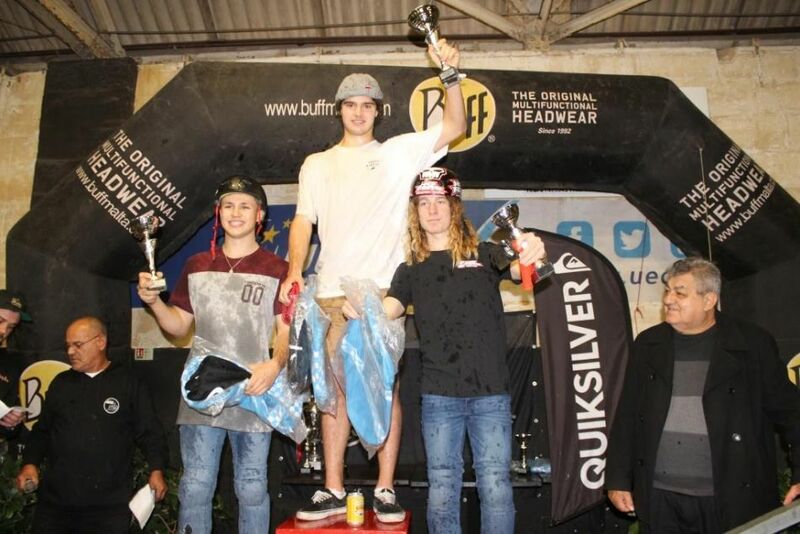 Monster Energy congratulates Pat Casey on his victory and teammate Andy Buckworth on taking second place at the first stop of the Toyota BMX Triple Challenge. 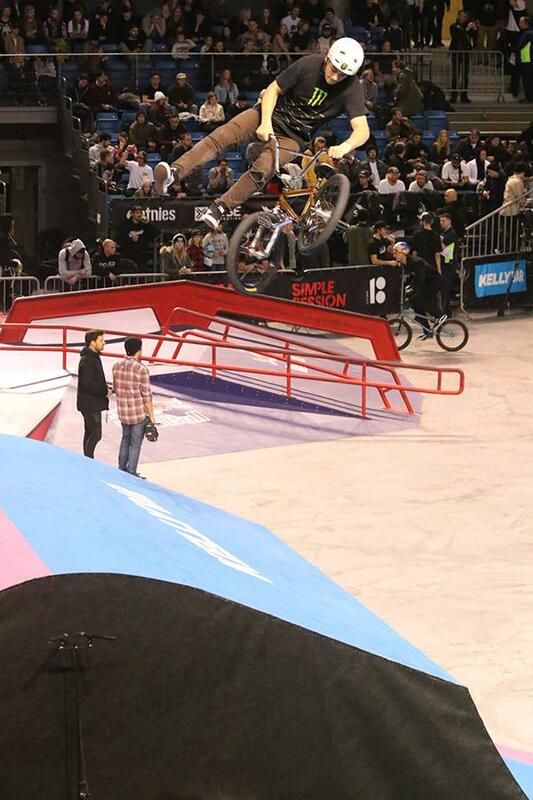 Casey’s incredible riding put him a notch above a stacked field of riders at the very first BMX event of the year. 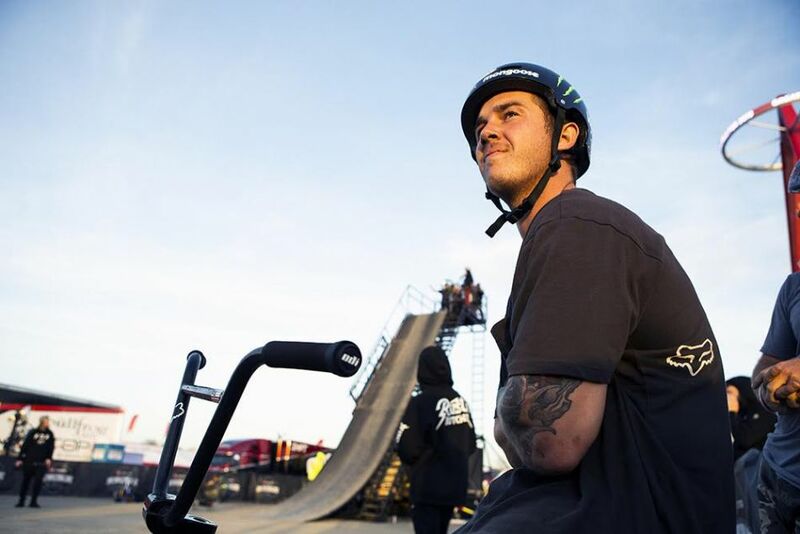 The first stop of the three-stop series, the Toyota BMX Triple Challenge takes place during select Monster Energy Supercross events and is at the forefront of the progression in BMX. The Anaheim event is a two jump, no apologies trick event that appeals to both the best riders in the world and up-and-comers who are looking to make a name for themselves. Round 1 of the 2019 Toyota Triple Challenge took place in Anaheim, CA last weekend. It's a win-win situation as the event is held at the Supercross series so even if you don't make the podium, you still get to see some awesome supercross racing. 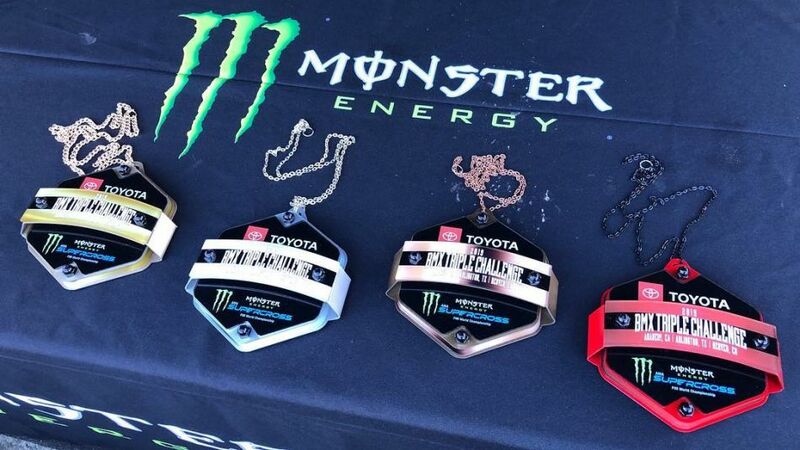 Check the results to see who did grab the medals and the big checks in Anaheim. Toyota BMX Triple Challenge Anaheim, California. Qualifications results of Stop 1. Simple Session '19 Riders announced. Who's in? Making it on the riders list for Simple Session 2019 is already a win. The Park and Street riders have been announced and the talent in both classes is deep. The Saku Arena will be the place to be from 2-3 February 2019 so if you haven't booked your travel yet, today is the day to do it. Look at the list of riders below, we're sure you don't want to miss this crew ride live in Tallinn, Estonia. Between the 30th November and the 2nd of December, the Malta BMX Association hosted the 5th BMX Fest - Xmas Edition International Event at the BMX warehouse 086 in Pembroke. Over 30 foreigners traveled to Malta for this event, where 22 international BMX Athletes competed over the weekend. The main competition took place on Sunday during the Open competition where 18 BMX athletes competed, 4 being local riders. It was 14 year old Dutch rider Jari Roggeveen who took 3rd place, followed by UK rider Jack Mould in 2nd and Defending Champion Tom van den Bogaard from the Netherlands who took the win for the second consecutive year.